Hello to Everyone on a very very wet June Monday. We thought it was time (in fact completely overdue) that we showed you some of the fabulous samples that our incredibly talented Design Team members produce for us for the TV Shows. So often we don't get time to show you all the cards they produce and not everyone can make it to the craft shows up and down the country to get your 'Crafting Fix'. So here is just a taster of their work for you to enjoy. 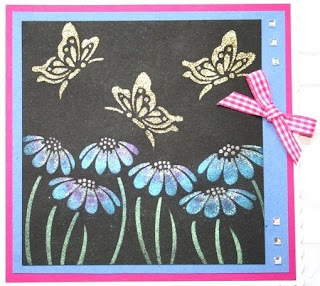 The Photos really don't do the cards justice as this first card from Jennifer looks amazing as she has used Gold Shine Sparkle Medium on the Butterflies with Mica Powder on the Daisies. She has done this on black mat card and the effect looks like Velvet in real life. She is a Mega talented lady who I have had the pleasure to know for nearly 10 years and she has been crafting all of her life. She is passionate about stamping and every card tells a story. We are so lucky and privileged to have her on our design team and she doesn't get enough thanks! So we want to put that right here and now!! 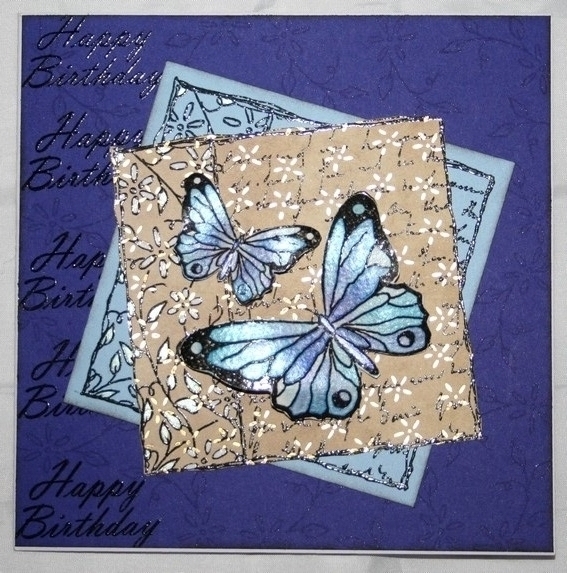 This next card is from another of our DT members, Annette. Again a lovely lady with artistic flair and a great eye for colour and detail. 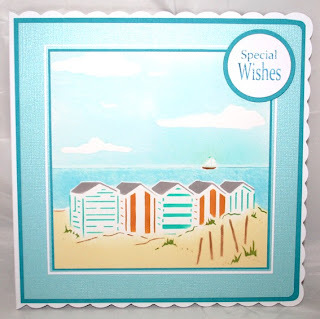 Annette has developed a wonderful masking technique, using distress inks and the scene stencils and we will be featuring more of these in the future. Again the photos really don't do justice to the cards and the colours in real life are lovely and her cards have the appearance of water colour painting. We have some wonderful examples on our demo boards so come and see them at the next Craft Show. 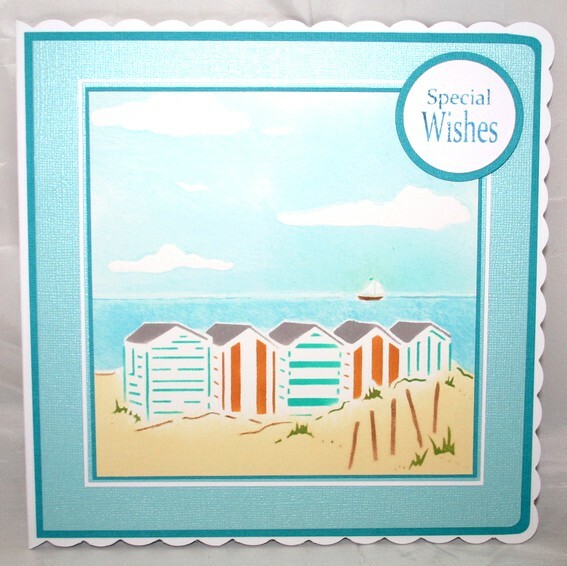 The card below shows the new Beach Hut Stencil done in this technique and looking out of the window at the moment I would just love to be there! Of course lots of you know Kim Reygate and follow her blog. Kim is well known throughout the crafting world for her hard work and as well as being an Author she is a member of many well known design teams, so we are really lucky to have her as a contributor to ours. Kim is one of those people where you can give her a set of stamps and she will immediately set to work and produce the kind of card we all want to make. She makes it all look so easy and there are few people who can work an ink pad like she can! I know lots of you enjoy her demos at Shows and look forward to seeing her cards on the telly and this one below features the lovely Butterfly Decoupage Stamp set, using the Mica Pearly Pallet. At least on the photo you can see some of the fabulous shimmer you can get when you paint using the pallets. I hope you have enjoyed seeing some of the work from our talented team and we promise to keep up the good work.